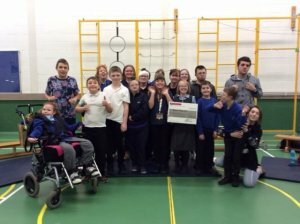 We were pleased to welcome Angela and Debbie to our assembly on Friday to present a generous donation of £494 towards our minibus appeal. Thank you to the staff team at Gates Hydraulics who took part in jumper days and raffles to raise this money. This entry was posted in Uncategorised on January 28, 2019 by Joanne Hardwick.